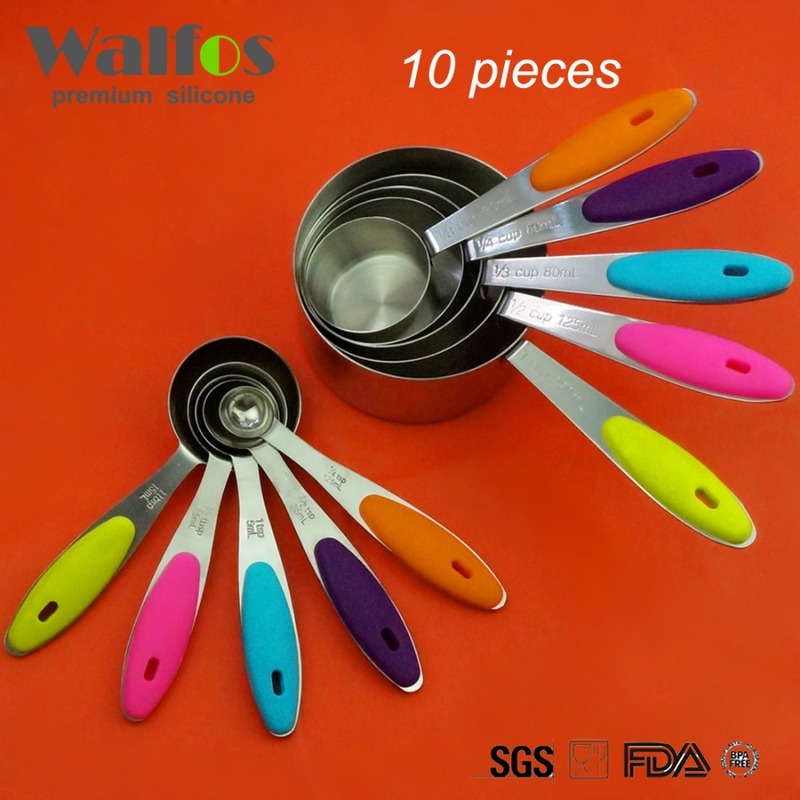 10 PIECE SET – Each set includes 5 pcs measuring cups and 5 pcs measuring spoons. A total of 10pcs. 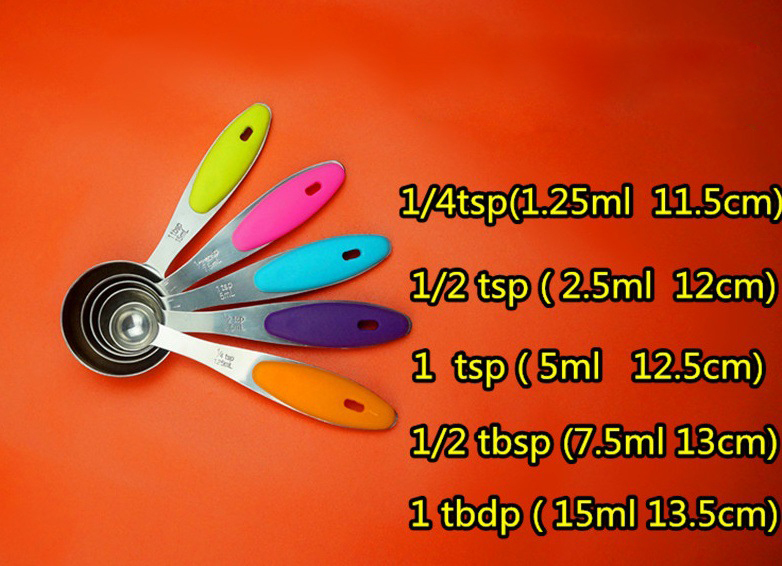 Capacity of measuring spoons :1.25/2.5/5/7.5/15ml. 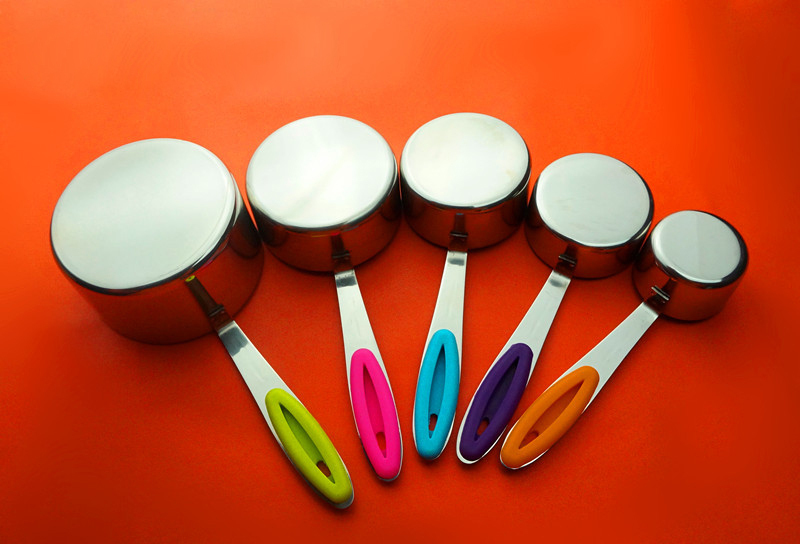 Stainless steel with soft silicon handles – Comfortable grip, Sturdy & Easy to Clean. 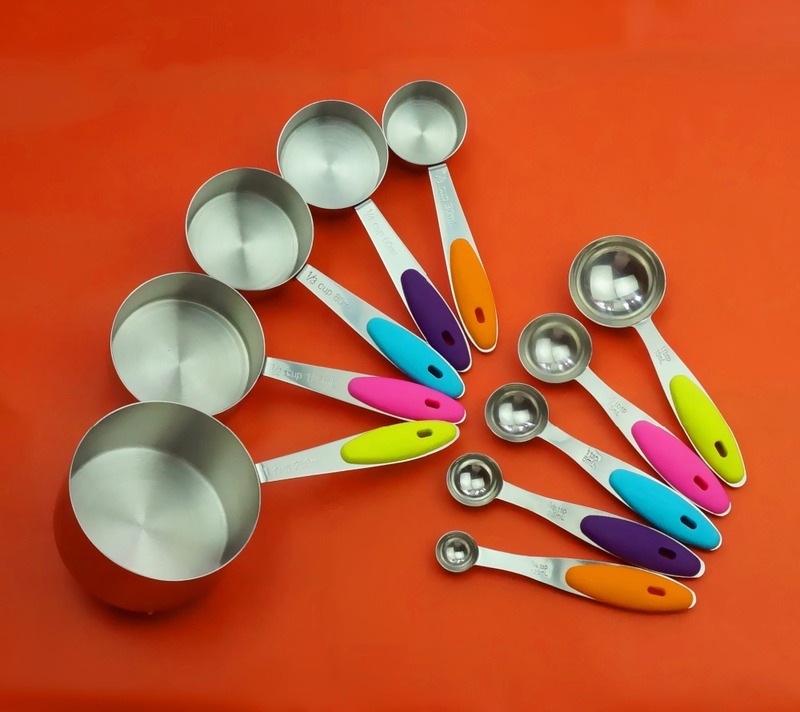 Here is your complete set of top class measuring cups and measuring spoons with a safely secured comfortable silicone handle. These are dishwasher safe and FDA approved. The cups can be stacked in one bundle with easily removable ring for problem free storage. You can forget about losing them! Super Sturdy Construction, Guaranteed not to break or bend under normal use. These are very high quality professional kitchen utensils. 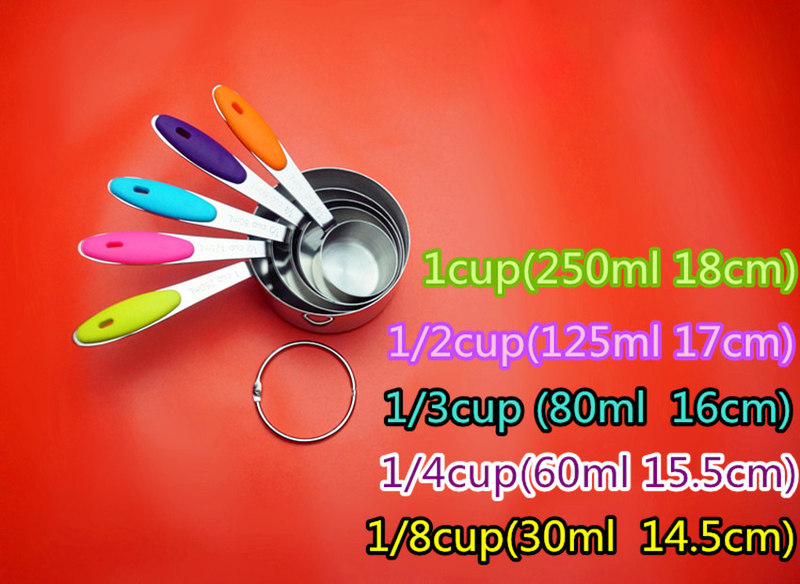 They have exciting bright coloured handles making them more fun to work with than your other average measuring cups. These will brighten your kitchen and will help you enjoy your cooking. Furthermore, the soft rubber handles provide added user comfort and a better grip. On the handle you will find engraved measuring markings.